Many years ago, a young child, an orphan, was wandering the unusually barren streets of Konoha. The child's name was Shigeru Inuzuka. His whole life was spent begging and living on the streets, barely eating enough to survive. It was simple; some days he ate, but most days he didn't. A group of neighborhood thugs passed by him, he looked the other way, hoping they didn't notice him. They did. The group grabbed the boy and continuously beat him until he was bloodied and broken. He tried to get up, but fell to an unconscious state. He awoke to the dirt around him, tainted in his own blood. Tears fell down his young face. How could he be so weak? He wasn't even able to defend himself. He ran as far as his legs could take him. Not because he was frightened, but because he was determined. Determined that he would no longer live a life of weakness, poverty and self-pity. When he finally stopped, he was in a wooded area, bordering a mountain. He heard a branch snap. He ran behind a rock, trying to hide himself from the possible hostile. But what he saw was no man. It was a wolf. It's black fur was matted down by what appeared to be blood. The animal was obviously in critical condition and it collapsed. Something deep inside the boy, I suppose you could call it an instinct, urged him to go and tend to the wounded animal. He felt a sense of camaraderie. Was this possibly another living being who has been in his position? Battered and beaten until it could withstand no more? The boy ran to the animal and nervously put his hand on it. It didn't move. He noticed two deep holes in the animal's side, most likely a bite of some sort. He gently lifted the animal with all his strength and he was relieved to feel it's heartbeat on his. He walked towards the mountain area, still carrying the animal in his arms as he heard the sound of rushing water. He kept walking to find a glistening mountain spring. He gently lowered the animal to the ground and poured water from his cupped hands onto it, washing the wounds. He tore off a piece of his shirt and wrapped it around the wound gently. Before the boy realized it, he had fallen asleep. He awoke to the sound of yelping. The wolf had apparently been trying to chew through the bandages and only ended up hurting itself further. The boy cautiously got up and went to the animal. What was causing this sudden bravery? He sat down by the creature and gently stroked it's soft fur while trying to get it to low down again. the wolf first responded with growling at the boy, but then obeyed as it was still far too weak to attack. The boy reached into his pocket hoping for some sort of miracle that might help the animal. Conveniently, there were a couple food pills he had stolen from a man who was visiting from Sunagakure. The boy encouraged the animal to consume the pills, but it refused. The boy pleaded with the wolf and it eventually licked them from his hand in a desperate attempt to get the child to leave him alone. To the boy's disappointment nothing happened. He was feeling quite hungry himself so he ventured into the forest to find berries or fruit. That's when he heard familiar voices. It was the thugs. the boy ran behind a tree, he couldn't afford being beaten again. The thugs walked by the springs, while mumbling something about their past theft. They came across the injured wolf and mocked it. That's when one of them started kicking the animal. With the little energy it had left it bit through the man's shoe. 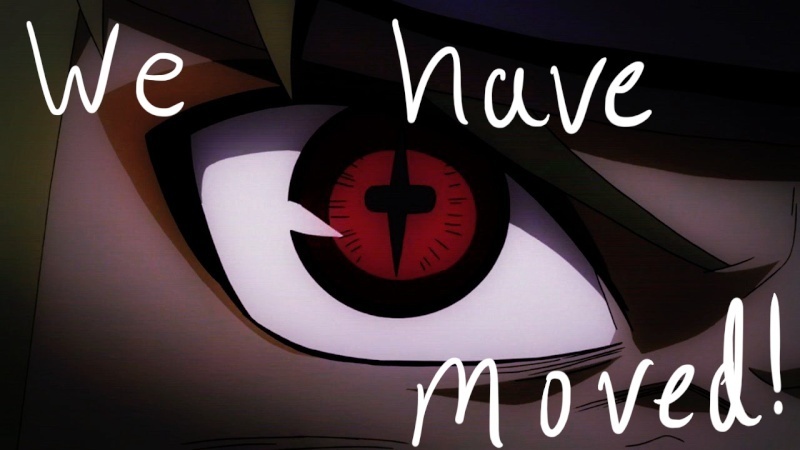 He became outraged and pulled out his kunai. The boy yelped. That's when the bravery he had before returned. He would not allow these men to hurt this animal, he would no longer be weak. He charged at the man and tackled him into the spring. The two other thugs cursed and grabbed the boy. They held him against a tree and pulled up his shirt, slowly carving each of their initials into his stomach with the blade. The boy screamed in agony. The second man was just about to begin when a dark shadow leaped from the bushes and jumped on the man. The other two turned to the second man's blood being splattered on their faces. The child's mouth gaped in astonishment. Could this possibly be the same wolf that was dying just the night before? He was dumbstruck by it's strength and will. It was no longer weak. The other two men were quickly disposed of, as well. The shadow finally slowed down from it's seemingly never ending onslaught. It was the wolf. The boy dropped to his knees and immediately thanked the fearsome, yet elegant creature for it's help. The two trained together for many years. The boy began to take note of the strategies and fighting styles of the wolves. Their persistence. Their will. Their strength. Their camaraderie. The boy trained in every aspect of the wolves and eventually started to make profit in doing work that others couldn't. Whether it was assassinations, protection or simple deliveries. he quickly became noted as the most powerful ninja of his time. 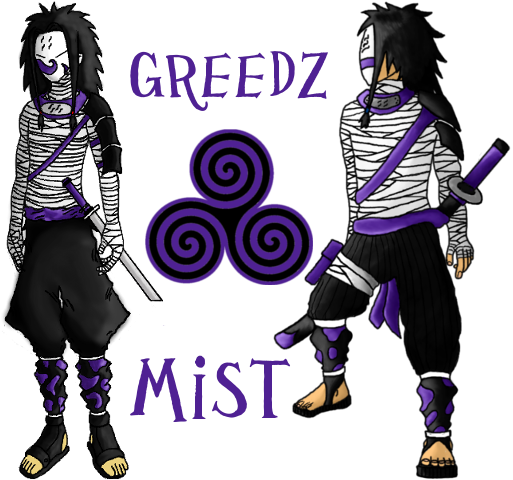 The two continued to work together and eventually built a a strong foundation of ninjas who sought for the same fate. A fate without weakness. A fate without poverty. And a fate without self-pity. The pair are no longer alive, but the group still thrives. Thus, the Blood Pack was born. The Blood Pack is a ruthless group of mercenaries who follow in the footsteps of Shigeru Inuzuka, himself. They accept all clans from any village and simply fight to get by in the world. They complete tasks for people around the world. These tasks range from Bijuu control, to protection, to a private army to simple deliveries and tasks. They take any and all work and don't allow personal feelings or emotions to get in the way of the mission. However, they always put the Pack first. 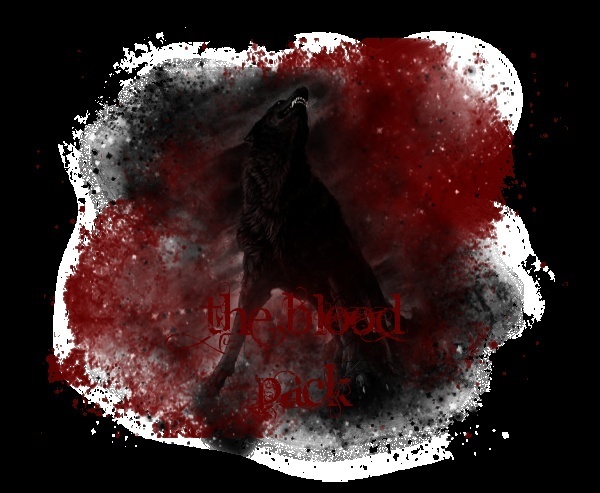 The Blood Pack will allow any and all members to join at the moment. When the game comes out there will be trials for any new member before they can become a member of the Blood Pack. If there are any disputes between group members you are highly advised to work it out or risk punishment from The Alpha. After all, if we can't trust each other, who can we trust? 1. Never disrespect The Alpha or any other member of the group. 2. Never disrespect the client. 3. If you give away private information you will be killed on sight. Traitors are unforgivable. 4. Once you leave, you may never return to The Pack. 6. If The Alpha notices a hacker you will be exiled. 7. You may not steal from The Pack vault, however if you find minor loot on a mission you may keep it. 8. Obey the chain of command. 9. Never put yourself before The Pack. 10. The Pack always comes first. We simply fight to survive. Add me back, I'm gonna stick with you. UPDATE: I've decided that we will stay as a merc group. These reasons are that we are quite different from RU, in the fact that they're missing-nin and we're not. 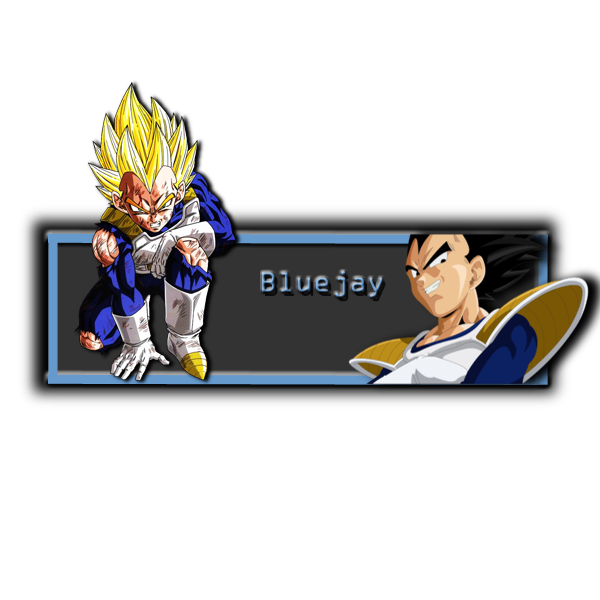 This allows us more trust and more unity between our villages.I'd like to thank Bluejay and Dr. Acul for helping me realize this. Just a quick question here, say a member goes rogue.. what would we do? For instance if they go rogue and abandon us well then there's nothing we can really do about that. But say they just run away form their village, yet stay loyal to the guild. Do we kick them out or do they stay in? That's a good question. Well, I'd really prefer members who are loyal to their respective villages, but it's their choice. They will have to keep it implicit, as we won't want to anger any guilds that are against missing-nins, such as Shadow Assassins. However, if they start causing trouble and making a bad name for themselves or the Pack, we would have to kick them out. If it's bad enough of an offense; a "kill-on-sight" relationship might have to take place. Normally, I would let this slide, but since besides Rebel Union and us are so similar we can't allow ourselves to fill in the one difference. We must really try our hardest to attain a close relationship to villages and their citizens; because they'll be our top clients and provide us with the best equipment. When we're missing-nin, it will be harder to obtain those luxuries. Thats was a good book. Good idea. I have a thread posted on our guild site, I suggest we discuss it there, in case we have... bigger plans than a mercenary group. We could always upgrade to ramen shop franchise. The business market is looking very profitable this quarter and there is a need for someone to fill it. That... is an absolutely genius plan, Blue. Bravo! Don't forget you guys are allowed to recruit, add and give the website to new members. What would I get promoted to? "Be kind to your enemies, nothing annoys them more." What village do you need to start in, in order to join the clan? If i'm right you can be from any village. If you read the story then you would know. At one point it is said that "They accept all clans from any village and simply fight to get by in the world." 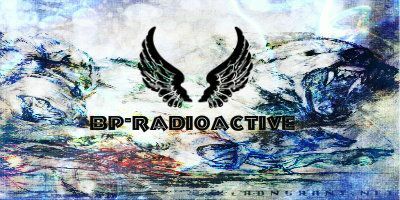 Well, guys, Ash of Shadow Assassins kindly made a sig for us, feel free to use it. Personally, I believe it's very well done, and when you see her next be sure to thank her for her job well done.